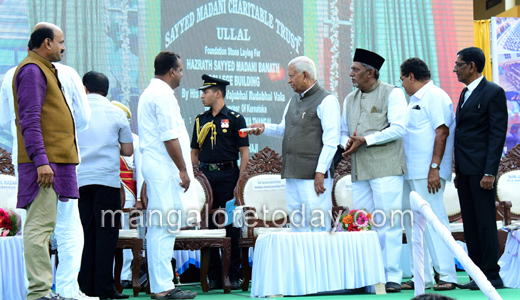 Mangaluru, April 23, 2017: State Governor Vajubhai Rudabhai Vala, on April 22, Saturday laid the foundation for the Hazrath Sayed Banath College to be established by the Syed Madani Charitable Trust of Ullal which is celebrating its 35th anniversary. 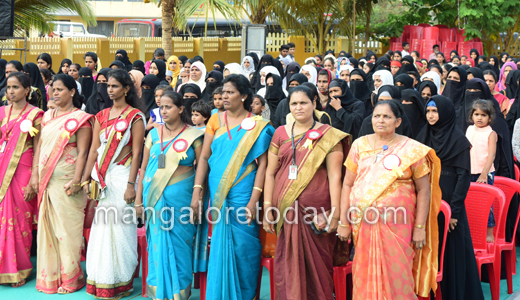 The ceremony was held at the Hazrath School premises at the Madani Ground in Ullal. 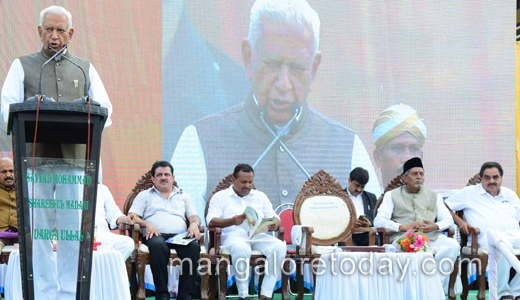 In his address the Governor highlighted the role of women in the development of the nation and added that education has helped women lead a life on equal footing with men. 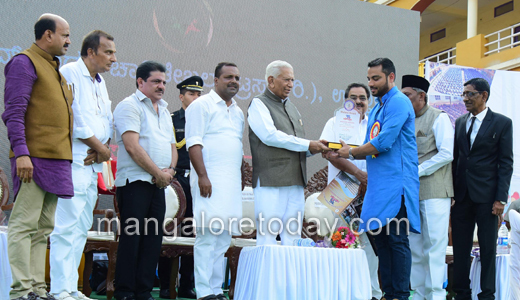 He also stressed the need for harmony in the society. 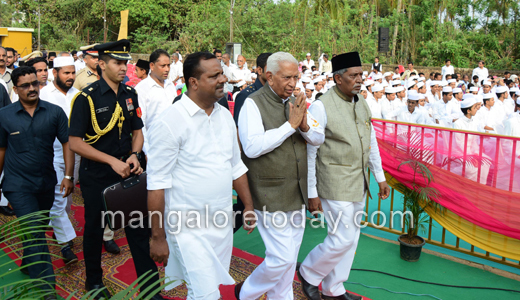 No religion advocates violence, the governor said and added hatred should be kept at bay by promoting harmony. 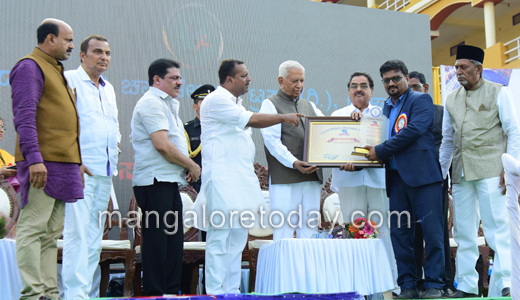 DK District in-charge Minister B Ramanatha Rai released the 35th annual souvenir of the Trust. 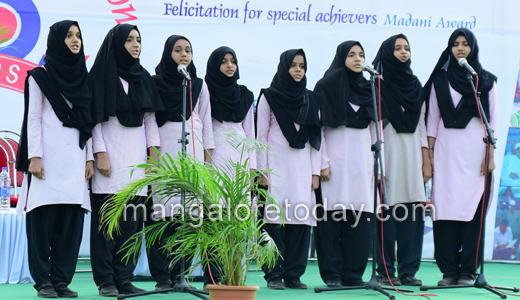 He also praised the Trust for according high importance to the education of girls. 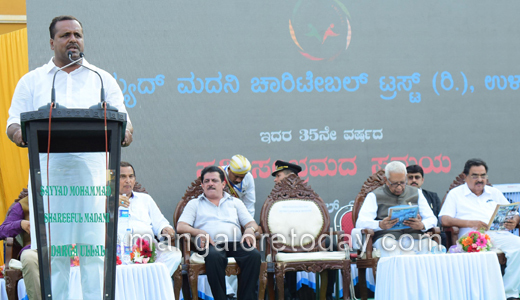 State Minister for Food and Civil Supplies U T Khader also spoke as a chief guest. 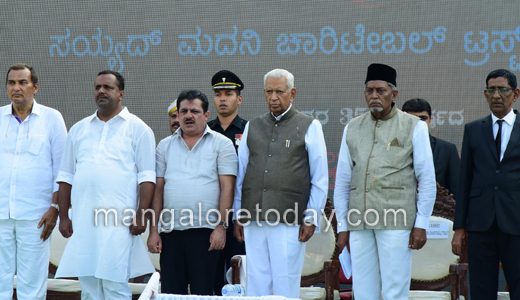 Zameer Ahmed Khan, MLA of Chamarajapete, Dr Y Abdulla Kunhi, Chancellor of Yenepoya University, KS Mohammad Masood, former chief whip, Abdul Rasheed, President of Darga Management Committee, Moidin Bava, Mangaluru North MLA, Hussain Kunhimonu, Ullal TMC President and others were present. Educational institution are on the basis of religion but never give importance to religion treat all as one . Is the construction of college really necessary . there are so many colleges . The donation they demand shows the educational institutions are commercial.